Online magazine audiences continue to shift from desktop to mobile devices, according to the latest Magazine Media 360° Brand Audience Report from The Association of Magazine Media. Desktop and laptop Web audiences are down 9%, while mobile Web viewing is up 12.2% in October 2016. Of the 125 brands that were able to report both Web and mobile audiences in October, 94% have higher mobile audiences than Web audiences. Nearly one quarter of these brands report mobile audiences that are 3 times greater than their Web audiences. Meanwhile, print audience growth was flat at 1.3% for the magazine brands in the report, while audiences on the video platform continue to grow at a rate of 30.8%. The total audience for magazine brands in the report is up 3.6% compared to a year ago. The MPA also found that magazine brands in Women’s Fashion & Beauty, Travel and Science & Technology content categories had above average growth in total audience this month. 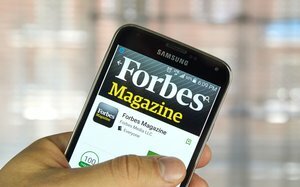 The top five magazine brands with the most total audience — across print, Web, mobile Web and video — for October 2016 were ESPN The Magazine, People, Forbes, WebMD Magazine and Allrecipes, the same lineup as in the September report. The top five magazine brands with the greatest percentage growth in total audience for October 2016 compared to a year ago were New York Magazine, W, Marie Claire, Popular Photography and The New Yorker. The MPA notes that the period in this report includes the weeks leading up to the presidential election, which often exhibits atypical results. “Audiences spend a lot of time online following the news of the election, but not necessarily visiting their usual magazine media sites,” a spokesperson said.